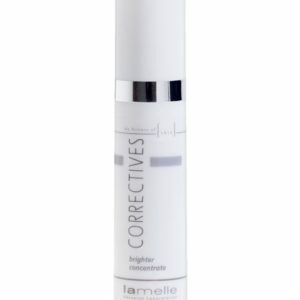 Correctives Cathepzyme is an enzymatic exfoliation system that contains an enzyme that is very safe yet very effective in stimulating the skins normal shedding rate. Throughout our life our skin follows a normal process of shedding and restoring skin cells on a daily basis. In our younger years this process is highly effective and results in our skin looking and feeling smooth, moist and youthful.However as we age this process tends to slow down by 30 – 40% due to the reduction in an essential skin enzyme called Cathepsin D. This directly results in dull, dry skin that has fine lines and a rough texture. Traditional exfoliation might not be the answer as many of the exfoliation ingredients might injure skin or exfoliate the skin unevenly without stimulating the skin to make new skin cells. In many cases they affect the barrier function of the skin and will allow increased water loss (Trans Epidermal Water Loss (TEWL)) and sun sensitivity. 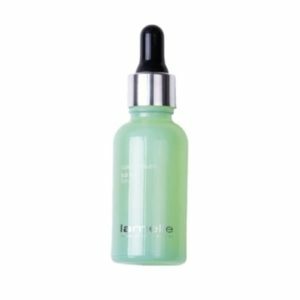 In the case of these products it becomes essential to immediately apply hydrating serums and masks after exfoliating to balance the damage done by the exfoliator. 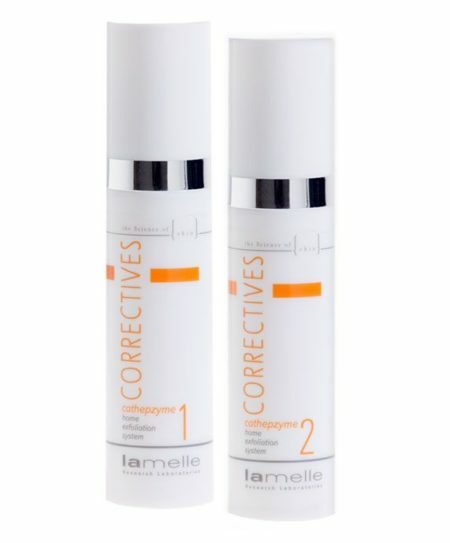 In Correctives Cathepzyme 1 and 2 the active ingredient is an enzyme that works the same way that the natural enzyme in the top layer of your skin works. This enzyme, Cathepsin D, will only exfoliate the top, dry layer of your skin. 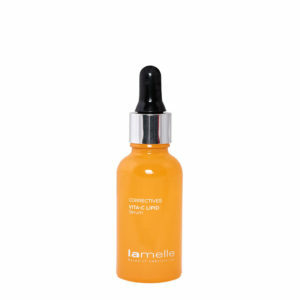 It gives a smooth even exfoliation, activates the lower layers of the skin and does not cause increased water loss (TEWL). In a trail the products was used two to three time per week for 3 months the people using it reported 50% improvement in wrinkles. 39% improvement in moisture levels of the skin and 35% increase in firmness of the skin. Cathepzyme 2 can also be used for the treatment of Keratosis Pilaris on the body. Keratosis Pilaris is a condition where there is over production of keratin by the skinand this results in a fine, rough and very dry rash on the tops of arms and sometimes thighs and buttocks. In this case the Cathepzyme 2 is used. Cathepzyme 2 is for skin that is not sensitive or has been exposed to another exfoliation routine or to peels. If you are uncertain your therapist will suggest using one bottle of Cathepzyme 1 before starting on Cathepzyme 2 just to make sure your skin can manage exfoliation routines.